We are not into tricks but here is a Halloween treat for you guys. This piece came out ridiculous!! This one was done on 10/16/13 and the person requesting this piece was very pleased with the finished product. 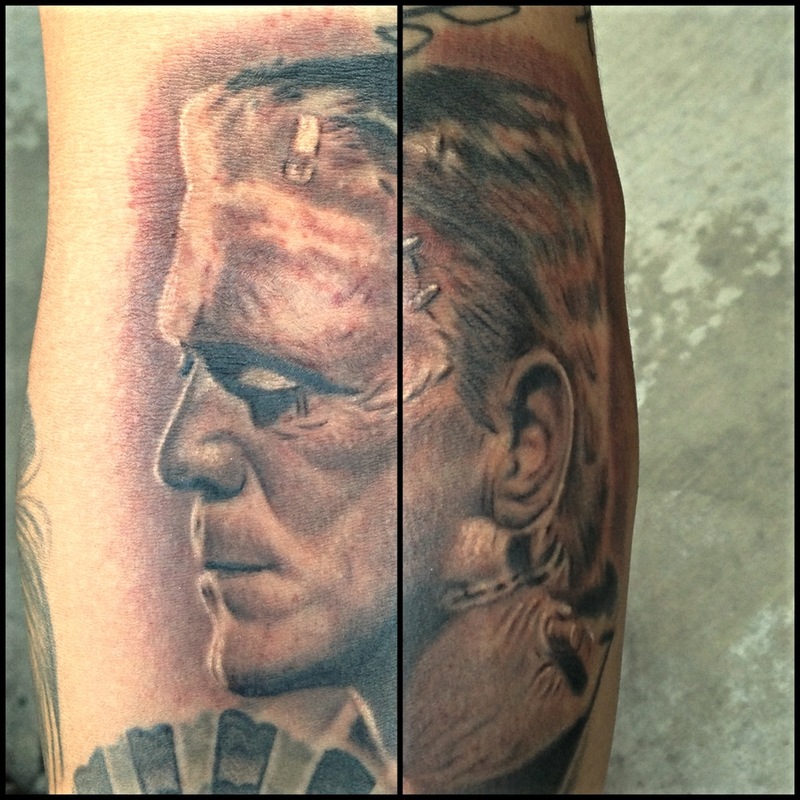 While witnessing this tattoo being done, a few things came to mind… Did you know that the Frankenstein is not Frankenstein? Let me explain. Most people associate this monster with the name Frankenstein but the name Frankenstein is actually the name of the scientist who created the monster in the novel by Mary Shelley. The scientist’s full name is Victor Frankenstein and the story tells that he was horrified about the monster that he created. How this monster got the name is up for debate. If you think halloween is scary how about this second thought that came to mind. I thought about how groups/ organizations/governments are tampering with science to bring about there own creations. They are trying to do this with the technology we currently have, if they have not succeeded already. Anything outside God’s design for bringing about life can never be a good thing but somehow people have convinced themselves they can do better. The end result will be always lead to destruction. « Welcome to CarlosMacedoArt.com, the official web site of Carlos Macedo!